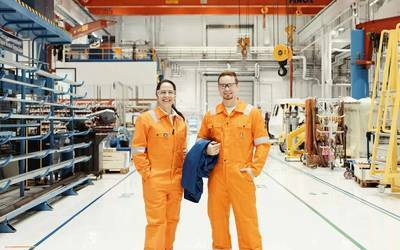 To spur development and raise awareness for hull performance monitoring, DNV GL and paint manufacturer Jotun are inviting industry stakeholders to the second Hull Performance & Insight Conference (HullPIC). Hull performance monitoring solutions offer significant fuel savings potential and have prompted growing interest from the maritime industry. This year, the HullPIC conference will take place in Castle Ulrichshusen, in Germany, from 27 to 29 March. Some of the topics to be discussed include the ISO 19030 standard for hull and propeller performance as well as common challenges and solutions that can help shipowners realize potential fuel savings. “We look forward to welcoming industry stakeholders to Castle Ulrichshusen. Our first HullPIC conference last year was a great success. In March we will pick up where we left off and I expect the new ISO standard will give us much to discuss, among other things,” says Geir Axel Oftedahl, Director of Business Development at Jotun Marine and project manager of the ISO 19030 working group. ISO 19030 was published in November 2016. The standard outlines general principles for the measurement of changes in hull and propeller performance and defines a set of performance indicators for hull and propeller maintenance, repair and retrofit activities. Six months after being published, shipowners, service suppliers and technical experts from DNV GL will have the opportunity to share their experiences with the new ISO standard and discuss potential challenges that may have encountered. Some other highlights at the conference include presentations on biofouling, how monitoring reporting solutions are impacted by the EU MRV regulation and approaches to verifying the effectiveness of energy saving devices.